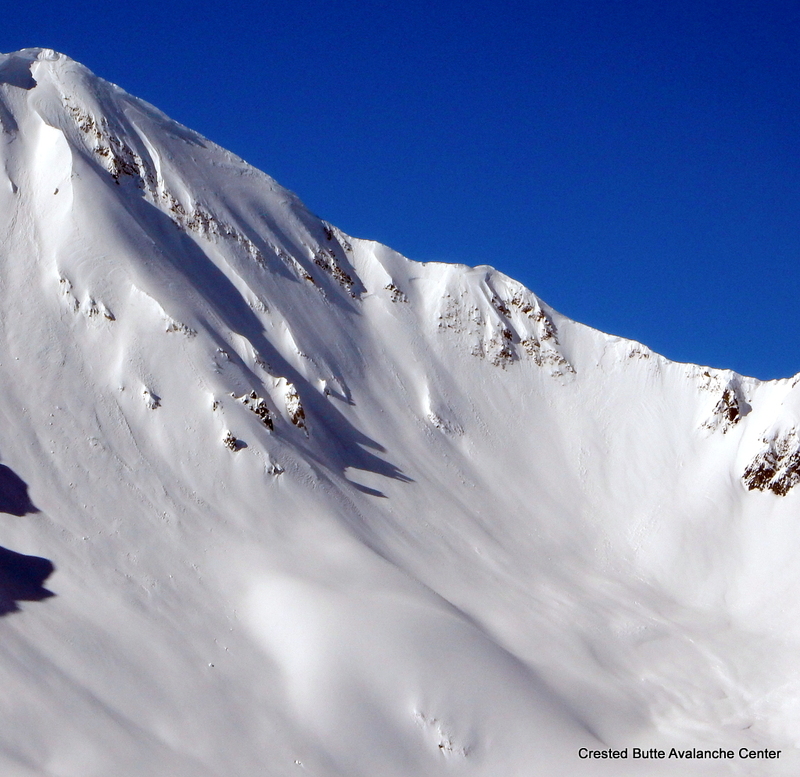 Avalanches: Several small (D1) windslabs above treeline that ran in the past 24 to 48 hours or so, on NE, E, and S aspects in the Ruby Range. One ran today. Evidence of some larger debris piles from earlier in the storm cycle from above treeline paths, but crowns are blown clean now. 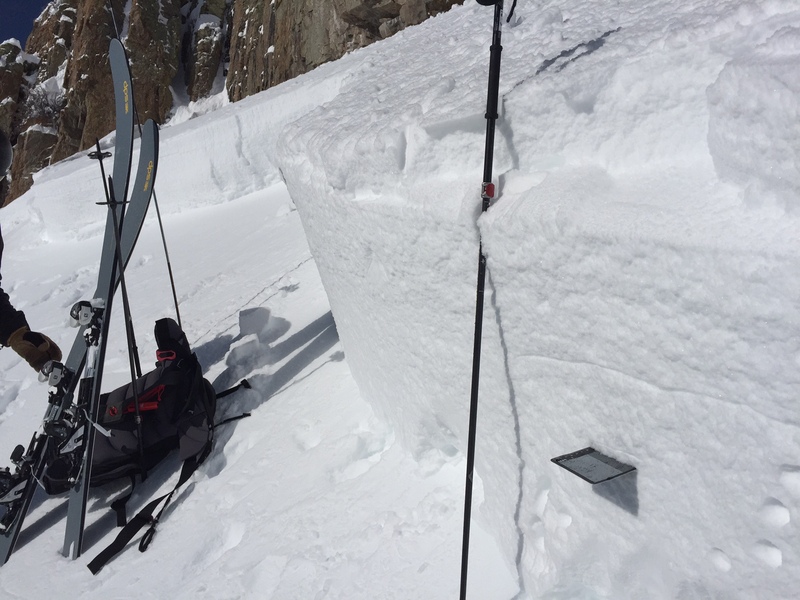 Explosive triggered one large persistent slab on a SE aspect near treeline, 65-80 cm thick. HS-AB-R2-D2-O on facets and decomposing SH over a crust (Jan 19 interface). 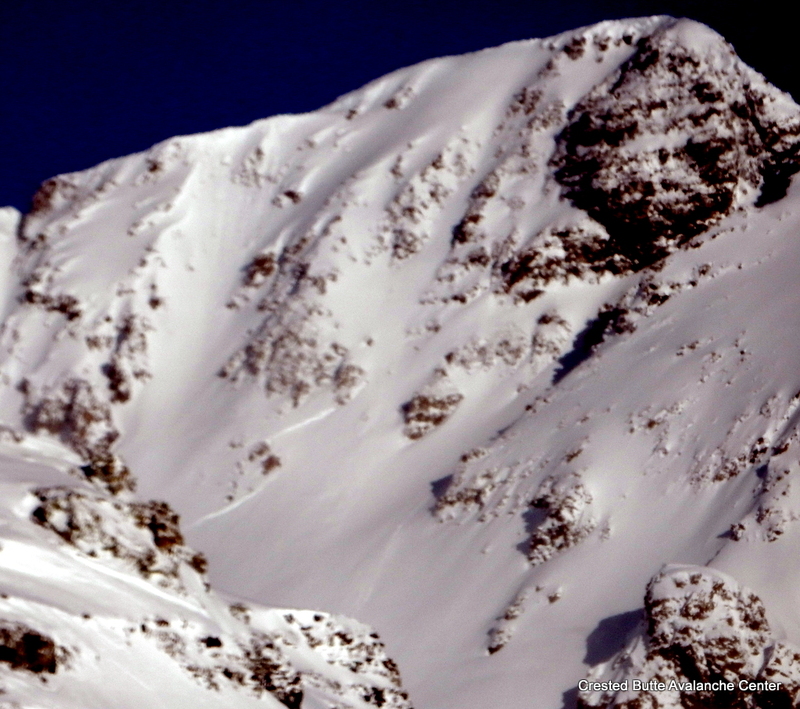 Remotely ski triggered small pocket on SE aspect near treeline. HS-ASr-R1-D1-I. 40-50cm deep, 20′ wide on the Jan 19 interface. Good views of from Scarp Ridge with no other significant slides observed. Weather: Moderate plumes from northerly winds this morning eased through the day. Cold temps, few clouds. 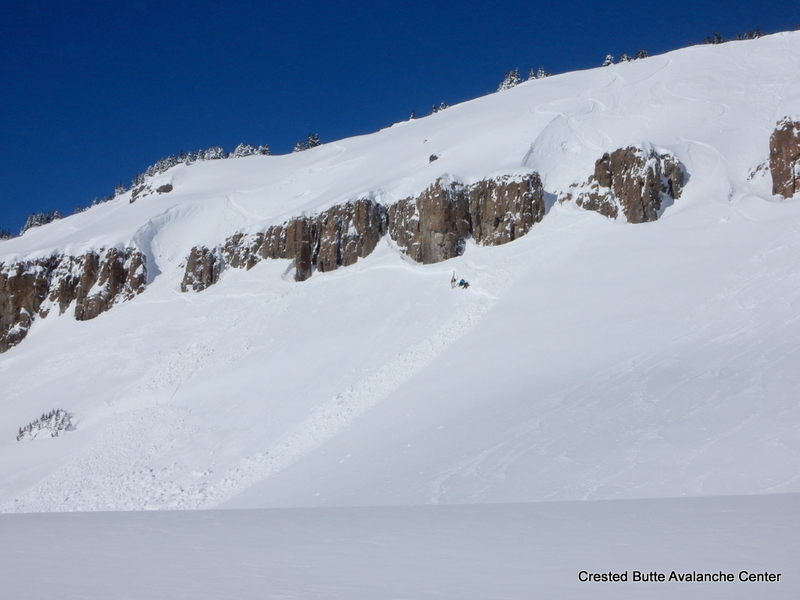 Snowpack: In Irwin Terrain, skier triggered multiple large collapses and a long shooting crack on a S/SE aspect near treeline, ~33* slope, that didn’t avalanche. Subsequent test pits revealed the Jan 19 interface 50cm’s down and produced a couple CTV during isolation, CTE 5, ECTP1 & 12 & 15 all Sudden Collapses on the crust with 1-2mm facets and some SH observed. D1 wind slab ran today. 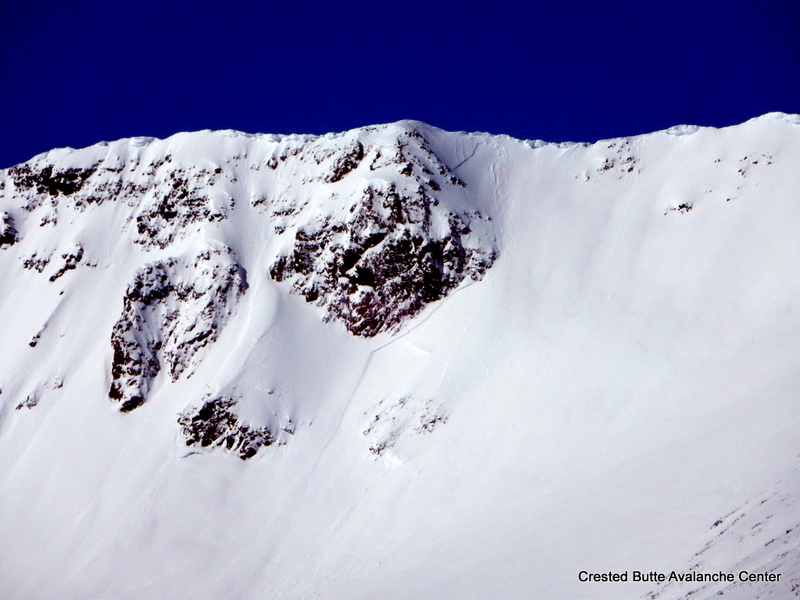 Maybe cornice triggered? 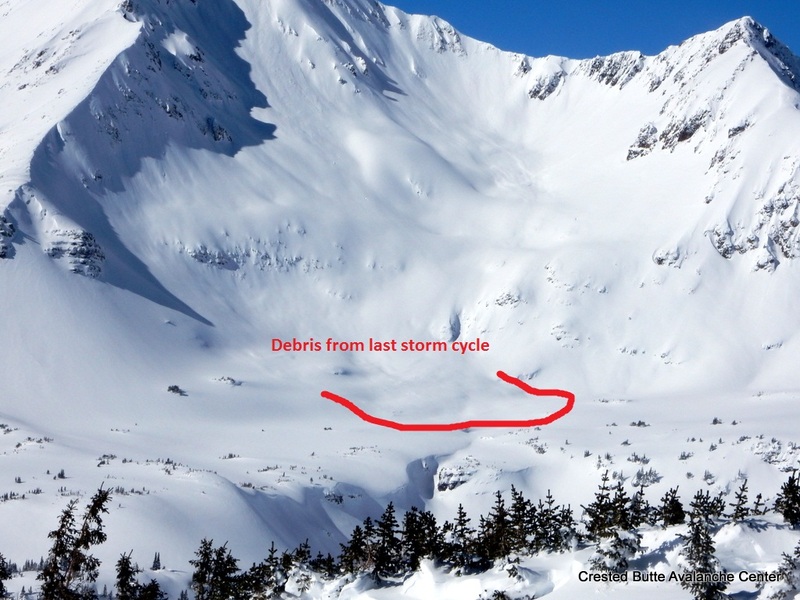 Larger debris from last avalanche cycle. Crown filled in.